Carrying on the work of journalists who no longer can. “Every time a journalist is killed, we need to send a clear message that they are not killing the story.” This is how Miranda Patrucic stressed the importance of continuing the groundbreaking work of arrested, incapacitated and killed investigative journalists. 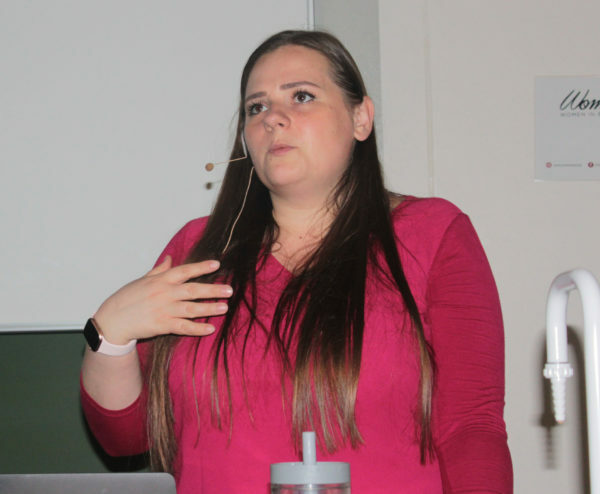 Patrucić, an investigative reporter and regional editor for Organised Crime and Corruption Reporting Project (OCCRP), was speaking at the African Investigative Journalism Conference (AIJC) on Tuesday, October 30. Patrucić explained how 45 journalists from over 15 countries collaborated on the ‘Daphne Project’ named for investigative journalist Daphne Caruana Galizia who was murdered in Malta in October 2017. The journalists worked on gathering documents, interviewed sources and followed the leads that Caruana Galizia, 53, had left behind after her death which was caused by a car bomb. “We all came together and said it was going to be our mission to work on these stories,” said Patrucić. She said Caruana Galizia had denounced criminal behaviour and corruption and that her journalistic style was unapologetic and uncompromising which is what pushed the team to carry on with her work. Some of the stories of the ‘Daphne Project’ included exposing Pilatus, a private bank used by two elite families in Azerbaijan to secretly transfer cash and exposing a hideout base for smugglers. Patrucić emphasised that carrying out the work started by other people is often difficult, but said, “When I was younger, my editor used to tell me ‘you have to go and get the miracle’”, which remain the words she lives by. Patrucić also presented OCCRP’s holistic approach to safety for investigative journalists and shared her insights on how to spot the signs of danger. The stories of the Daphne Project are available on the OCCRP’s website.